Home News Entertainment-News The secret behind Actress Patience Ozokwor’S glowing wealth! The secret behind Actress Patience Ozokwor’S glowing wealth! 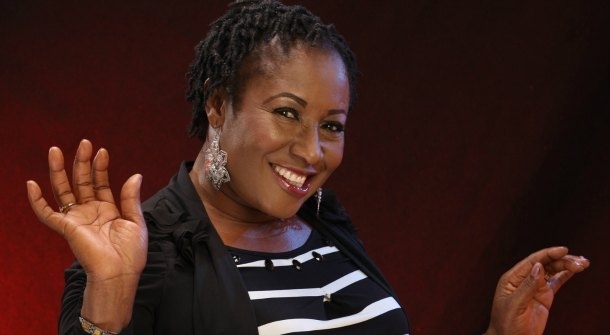 Actress Patience Ozokwor popularly known as Mama G is undoubtedly the biggest female actress in Nollywood who fame, fortune and global recognition has smiled upon since the debut of her acting career several decades ago. Call her the most loved actress in Nigeria with the largest number of fans and you will be stating the obvious. The s*xy mother and grandmother has carved a niche for herself nationwide and in Diaspora, with her unique acting expertise and clout which is unequalled in Nollywood. Born on 25 March 1958 Ngwo, Enugu, Nigeria, she started her career as a teacher by training and she taught for about four years before venturing into broadcasting. She was employed as an announcer with FRCN Enugu and was later retrenched when they closed down all the medium wave band stations. However, fame smiled on her when she eventually ventured into acting in 1998, and instantly became a favourite of all movie lovers with the signature role of a wicked mother which she played so well. Several years after, fortune also set in as she gradually emerged the highest paid actress In Nollywood, now earning over 1.5million naira for her roles in movies. The talented actress is blessed with 3 biological kids who are all married and she lost her husband years ago.However,the crust of this gist is the flamboyance and luxury that has swept the amiable actress Mama G off her feet as a result of doing what she does best. The actress by virtue of her status is presently living a comfortable life and holds sway as one of the most prominent indigenes in her home town Ngwo in Enugu state where she resides. She owns about 3 mansions in Enugu, one of which is her country home in Ngwo Enugu State where she lives, another in Enugu city and until recently, she also unveiled another exquisite duplex located in coal city of Enugu. She also owns a very popular filling station in Enugu and also a wave making fast food restaurant. Although the talented actress is very humble, down to earth and wields a lot of motherly care that belies her status, her affluence still can’t be covered up by the modest life style she lives. She is not a woman who will brag about her achievement or show it off, but sources reveal people close to her and even her villagers can attest to her generous and humanitarian nature. Mama G is a lover of SUV and has a lot of it in her garage, ranging from Pathfinder to infinity models, some of which have customised number pates MAMA G.Her latest acquisition in the auto mobile sector is the 2013 Honda Pilot SUV which she cruises around town in for special occasions. She also loves to travel and has visited over 20 countries in the last couple of her years. Her favourite vacation spot is said to be the UK where she always loves to go spend time, especially with her family who reside there. Apart from her acting income, she is also cleaning out big time with some mouth watering endorsement deals among which include MTN, Iroko TV Ambassador and several other commercials.